Yes, I’ve taken a day off work and sent my kids to daycare. So should you! Have you ever taken a day off from work and sent your little one to daycare? I almost feel like I’m whispering while writing that question! And if it wasn’t so damn expensive, I’d have done it more. Which is kind of poignant as today is my oldest child’s last ever day at daycare after five years and in all that time, I’d say it’s happened maybe three or four times. One time it was a funeral, another was a work interview and then there was the truly spectacular day I spent with a friend (who also sent her kids to daycare) having a massage and high tea at a fancy hotel. Sigh. That was particularly lovely. Meredith Bodonga from Working Mother Magazine, recently wrote about her experience of this and how doing it made her felt guilty (for a second) because she was a woman who fought for flexible work conditions and here she was, not spending every minute of spare time with her boy. But then she got over that because she’s a grown woman who has every right to time out and not only that, it makes her happier and more content which makes her a better mum. 7 self-care tips to save your sanity as a mum! “Breaks from both working and parenting are as close to nirvana as I’m able to achieve lately… Moms, whether they work outside the home or are the daytime caregiver for the little ones, don’t get much downtime from their duties. I see no reason not to catch up on sleep, catch up with your partner or a pal or just sit on a comfy couch and stare at a TV until pickup time at daycare while your child is in a safe, enriching space. It’s downright inhumane to deny yourself that—and deny your child a relaxed, recharged parent,” says Meredith. Having a break from your kids is good for all. 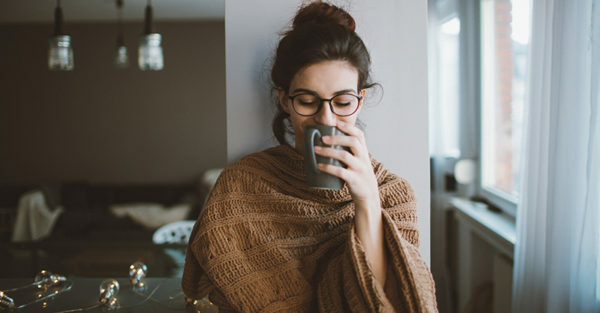 Even science says so – with one psychologist going as far to say that women need at least two days to themselves on a regular basis to ensure adequate self-care. We read so much about how women (and parents) need more me-time, and in reality a work-free day is one of the best days for that to happen. You’re completely responsibility-free and because you would normally be at work, it’s way easier to clear your mind of the “need” to do anything. Hence: massage and high tea for me LOL! My daycare was handing out vouchers for parents who wanted an extra day to go to their work Christmas party. As if parents were real people, who had actually had lives outside their family. I don’t know how many took them up on that but what a great idea – a kind and compassionate gesture from a child educator in the trenches, who just gets it. We all need a break; parenting is a tough job. And if your child is happy at daycare and the routine is working great for all of you – go for it. In January, the NSW Department of Education released a statement urging parents to make preschool part of their child’s early development. Drop the kids to daycare, and take the day to yourself to spend it whichever way you want.